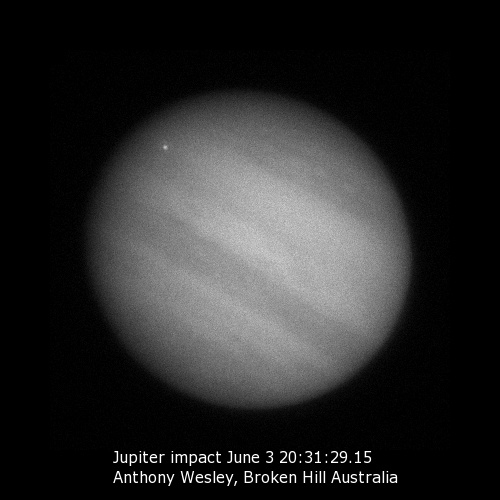 Suspected Jupiter impact event captured by Anthony Wesley and Christopher Go! A color version of Anthony’s image can be found at this link. 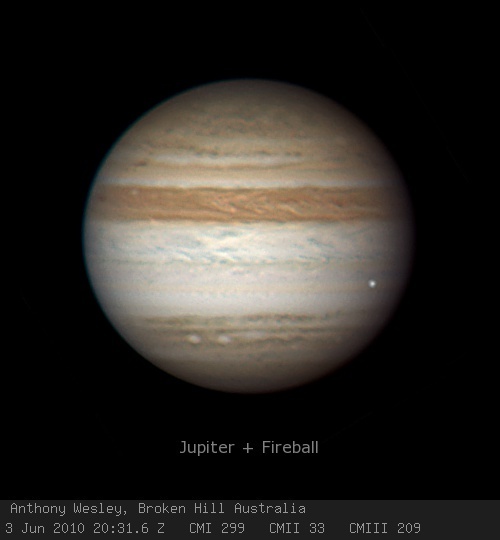 Observers are encouraged to image the impact site to look for dark features caused by the event. Please visit Christopher Go’s website for his images of the event (and for comparison images when hunting for impact artifacts).